Buick and Chevrolet, two of the world’s most famous automobile brands, have a huge following worldwide not only for their modern, sleek models but also for their vintage collectible models. As a matter of fact, there are clubs and organizations formed solely for passionate collectors of noteworthy authentic Chevrolet and Buick models with historical value. Vintage Chevrolet Club of America, with chapters in states like Portland and Washington, publishes its own magazine called Generator and Distributor with articles on how to care for vintage models, specifically automobiles manufactured in early 1900s up to the 1980s. VCCA members have the privilege to contribute personal stories and tips regarding Chevys. Another great thing about being a member of organizations such as VCCA is that one has the opportunity to keep in touch with other vintage car fanatics around the country as well. If a person is a self-proclaimed Buick and Chevrolet fanatic but he doesn’t own even one model, he can still join VCCA because the organization doesn’t limit itself to automobile owners. On the other hand, Buick vintage collectors can join Buick Club of America which constantly organizes car shows and tours. BCA members can gain access to their informative forums discussing the specifics of pre-war and post-war models as well as useful tips for preserving and polishing earlier models. Buick and Chevrolet models manufactured before the World War II, mostly made of nickel and brass, naturally require meticulous care to keep up with the modern times. 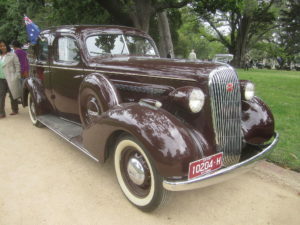 In fact, BCA has a sub-organization to specifically deal with restoring and caring for pre-war Buicks. 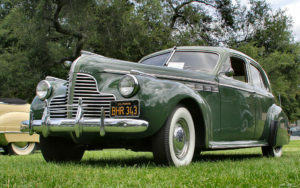 A member of pre-war Buick division posted a message in the discussion forum saying earlier models of Buick, which are much slower than modern models, should be improved in order to participate in BCA tours. Just how exactly can earlier Buick and Chevrolet models be upgraded? Well, car enthusiasts can turn to companies offering automobile restoration. 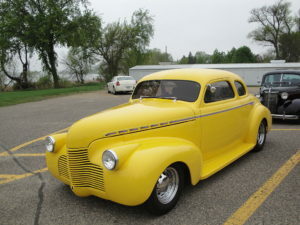 For instance, 10th Street Auto Body Specialties boasts of doing an incredible job of re-working ’34 Chevy, ’35 Ford Woodie Hot Rod, ’63 Nova SS Convertible and ’56 Chevy Hot Rod Truck. One can visit their website for step-by-step guide on how they transform these old models. Demopolis Paint and Body Shop, on the other hand, entertain antique car restorations. Their finished products include 1966 Ford Mustang and 1988 Cavalier. Likewise, Ace Auto Restorations supply antique car collectors with high-quality car parts, from chrome plating to upholstery. With so many choices available, vintage Buick and Chevrolet enthusiasts should no longer have a hard time improving the interiors and exteriors of their antique automobiles.